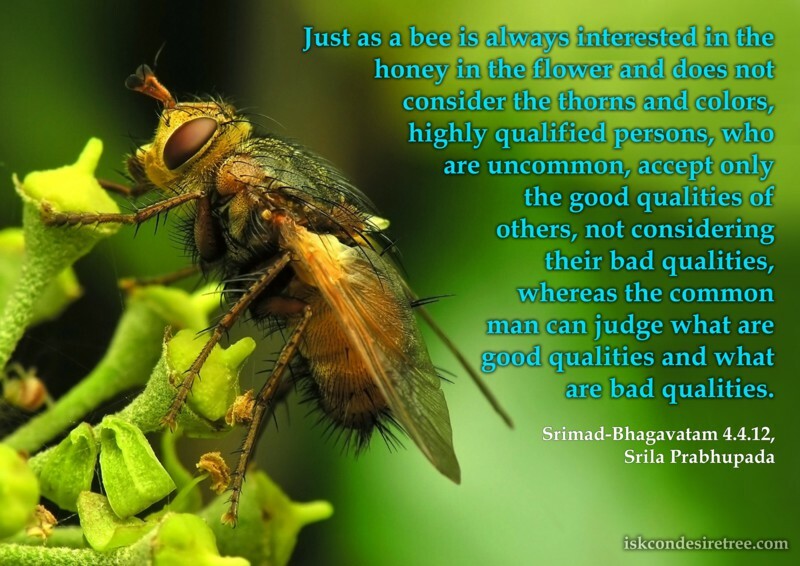 Just as a bee is always interested in the honey in the flower and does not consider the thorns and colors, highly qualified persons, who are uncommon, accept only the good qualities of others, not considering their bad qualities, whereas the common man can judge what are good qualities and what are bad qualities. If you want to develop a particular quality, then serve the devotee who has that quality. When we stand before the Lord, we should be meditating on how we can develop the qualities and the characteristics by which he will really be pleased to see us. Then, when we have such a consciousness, he actually reveals himself to us.